A major, three-day operation last week targeted and dismantled 18 marihuana grow operations located in the city of Calgary. Police seized over 8,920 marihuana plants in various stages of growth, and a large quantity of specialized equipment typically used by organized crime groups in the production and trafficking or marihuana. Twenty-two charges have been laid against nine people. Alberta Health Services inspected the properties and deemed 13 unfit for human habitation. RCMP issued an earlier statement warning landlords that criminals target rental properties for the purpose of setting up grow ops. The RCMP launched a new national Marihuana Grow Initiative to combat the prevalence of marihuana production being run and exploited by organized crime groups in Canada. The Calgary blitz will be the first of many similar operations the RCMP will run in conjunction with other policing partners across Canada. Part of the this Initiative includes a new page on the RCMP website which lists properties where a grow operation or clandestine lab was discovered. Any property flagged on the website will remain on the list for one year. 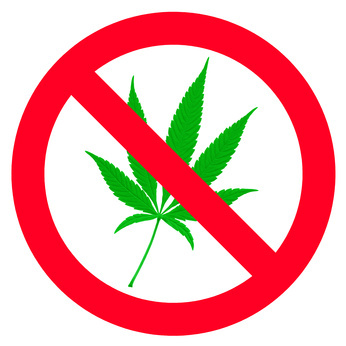 Residents of Calgary know all too well the dangers associated with illegal grow operations. In 2009, the Citadel neighbourhood, and a number of families in particular, were devastated when an illegal grow operation caught on fire and damaged seven neighbouring homes. Just this summer, two house fires broke out in locations that were concealing dangerous marihuana grow operations. “The Calgary Police Service has been working with multiple community partners for many years to tackle this issue in Calgary. The work of many has led to an increased awareness with the public who have been instrumental in assisting us in locating hundreds of grow ops over the years, as well as those seen in this week’s operation,” says Superintendent Guy Slater from the CPS Criminal Operations Division. Perform routine property inspections every four or five weeks. If you suspect a grow op at your property, contact police for assistance.